The railroad is stabilizing a section of track on Hermosa Hill and expects construction will allow trains to travel between Durango and Silverton on Sept. 21. Currently, trips are being made from the Rockwood Station to Silverton. The Durango & Silverton Narrow Gauge Railroad plans to resume full service from Durango to Silverton on Sept. 21, a spokesman for the train said Tuesday. 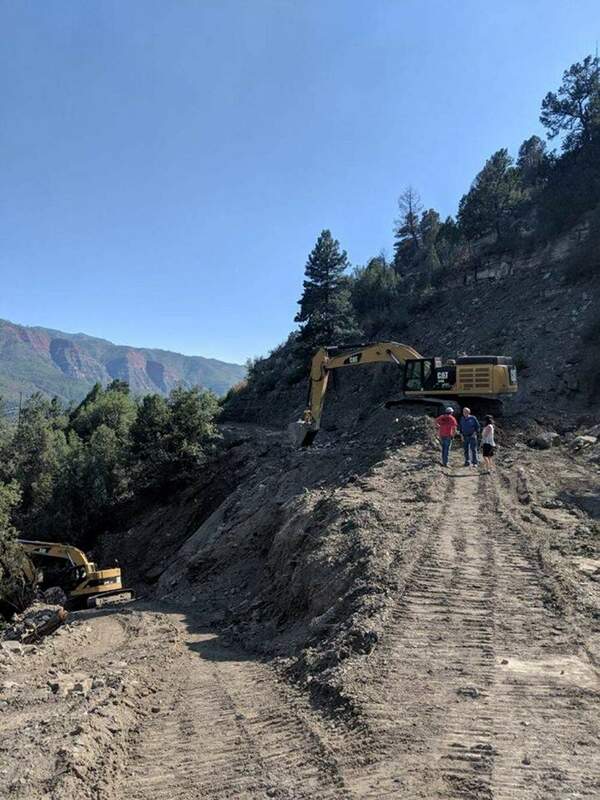 The D&SNG has been limited to running train routes from Rockwood Station to Silverton since mid-July when mudslides and debris flows from rains on the 416 Fire burn scar wiped out a section of tracks north of Durango. “This is the worst incident we’ve had happen to the railroad since 1970, when we lost 13 miles of track to a flood,” owner Al Harper said at the time. Train spokesman Christian Robbins said Tuesday repairs to the tracks are likely to be complete by this weekend. It’s likely the trains, which have been stranded north of Durango since the mudslides, will be brought down this weekend. “We want to make sure it’s safe before putting passengers on that section,” Robbins said. Robbins was unaware how much repairs have cost so far. The D&SNG plans to run two trains from Durango to Silverton at 8 a.m. and 8:45 a.m. starting Sept. 21, he said. The train’s service was also hampered this summer during the 416 Fire, when service was suspended for 41 days. The D&SNG’s final day of service to Silverton will be the last Sunday of October, as usual, Robbins said.